Stephen Baster will wear the Rosemont colours on True Excelsior in the G1 Telegraph in New Zealand. 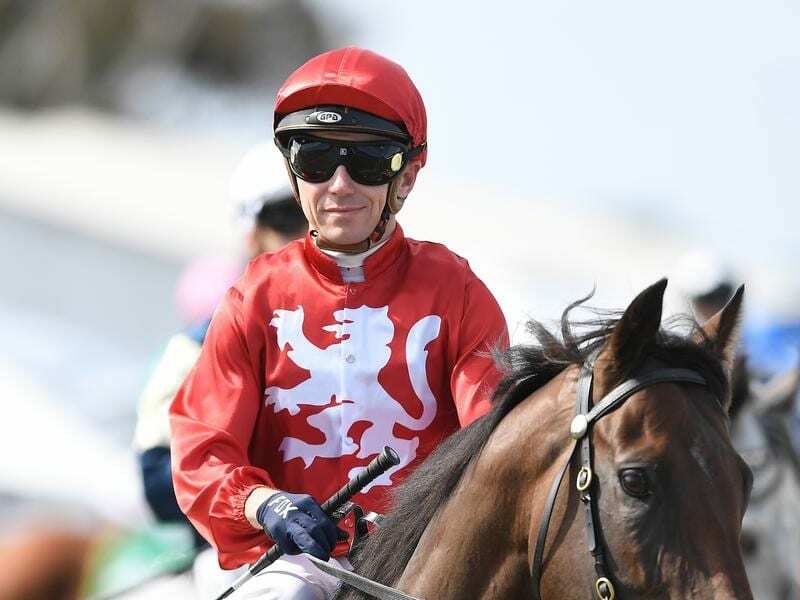 Melbourne jockey Stephen Baster will make the trip across the Tasman to ride Victorian mare True Excelsior in the Group One Telegraph at Trentham. The Leon and Troy Corstens-trained True Excelsior, who is raced by Rosemont Stud, arrived in New Zealand early on Sunday morning to prepare for Saturday’s 1200m feature sprint in Wellington. Baster has ridden True Excelsior in eight of her past nine starts and was happy to continue his association with the sprinter who finished third in the Group Three Standish Handicap at Flemington at her most recent start to confirm plans for The Telegraph. True Excelsior has won two of her 19 starts and has another eight placings while her only attempt at Group One level was a fourth in the Sangster Stakes for fillies and mares in Adelaide last May. The New Zealand race is an opportunity for the multiple stakes-placed mare to chase a valuable Group One win. “It’s definitely a bit left-field but she’s going well and I think both her runs back have been super,” Baster said. “I think she deserves her chance. “I ran fourth on her in the Group One in Adelaide and she had a hard run that day. She drew wide and I was four-wide the whole way, so I thought she did a really good job. Baster won the Group Three Geelong Cup on Runaway in the Rosemont colours during last year’s Victorian spring carnival.